Had lots of fun with this Dianna, Thank you! 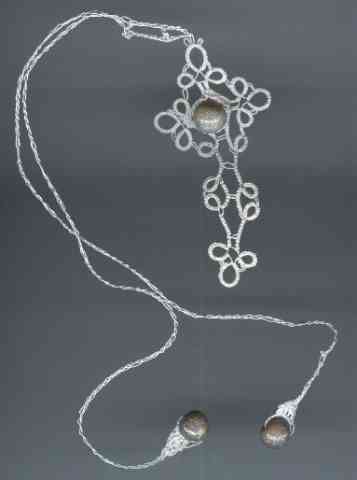 Beanile Suncatcher #814 DMC pearl cotton #8 and #7 tatting needle. I made this little suncatcher with these gorgeous size 8/o matte trans. burgandy seed beads. this is a pattern adapted from Nina Libin's Tatted Lace of Beads 'Beanile Lace' book. 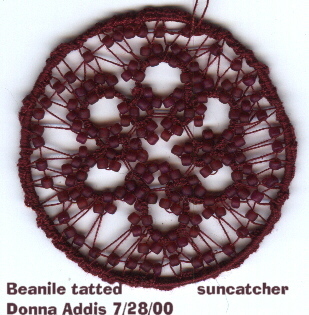 I learned Beanile with the shuttle then adapted it to needle tatting...Very Challenging and fun.